Join the Club! 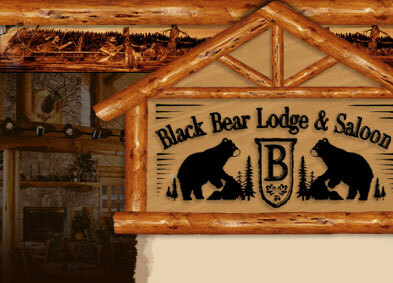 Become a member of Black Bear Lodge and Saloon's Frequent Diner Club and receive a $25 gift card for every $250 in purchases made at the restaurant. 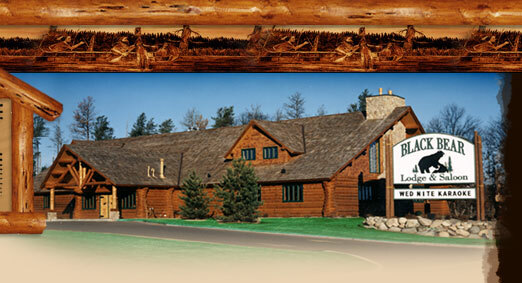 We will keep you up to date on offers, events and any future trips. Enroll and receive a $5 gift certificate in the mail. Must be 21 years of age or older. Sign up online! 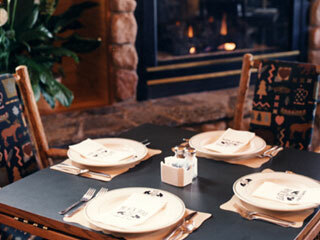 Due to separate ownership the Baxter/Brainerd location is the only Black Bear Lodge to participate in the Frequent Diner Club. 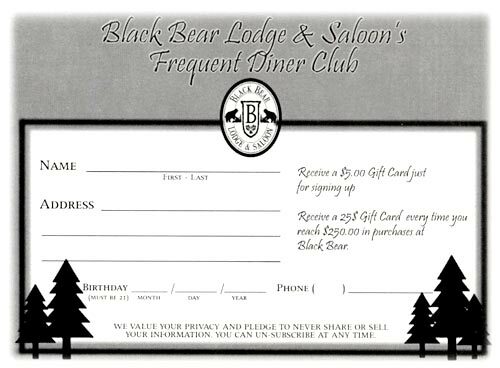 Print and return card to join the Black Bear Club!